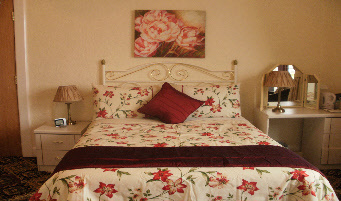 Highly recommended and situated on the seafront just opposite the golden sands. 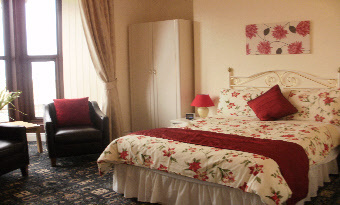 We offer nine bright and spacious en-suite rooms that are tastefully decorated plus three single rooms. Large colour televisions, free beverage trays and extra comfort beds. 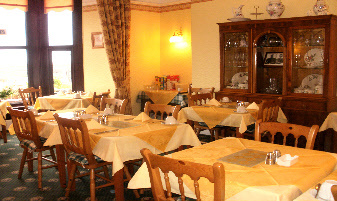 Our sunny dining room looks over the sea. 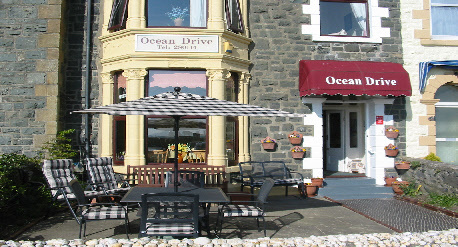 Ocean Drive offers you a comfortable and relaxing stay you can be assured of a warm welcome from Eileen and Keith Budd who are Gold Award Welcome Hosts with the Welsh Tourist Board. 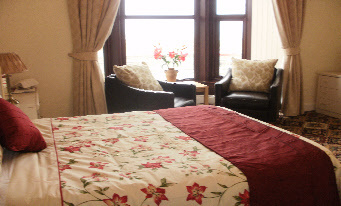 A ground floor twin room is available for those having difficulty with stairs. A full English breakfast is served using the best local produce or choose an alternative from the menu. You will find a large patio area with tables and chairs where you can enjoy the sunshine and a view of the mountains. When entering Barmouth take the promenade road, proceed past the car parks and we are one of the three storey houses that looks over the sea. There is plenty of parking outside. Barmouth is connected by the main line railway from the Midlands and is an ideal base for railway enthusiasts.